Join other running enthusiasts for our fun, family-friendly running series. All ages and abilities welcome. Each meet up will be at a different location in Suffolk. Be sure to bring water and dress comfortably for running. 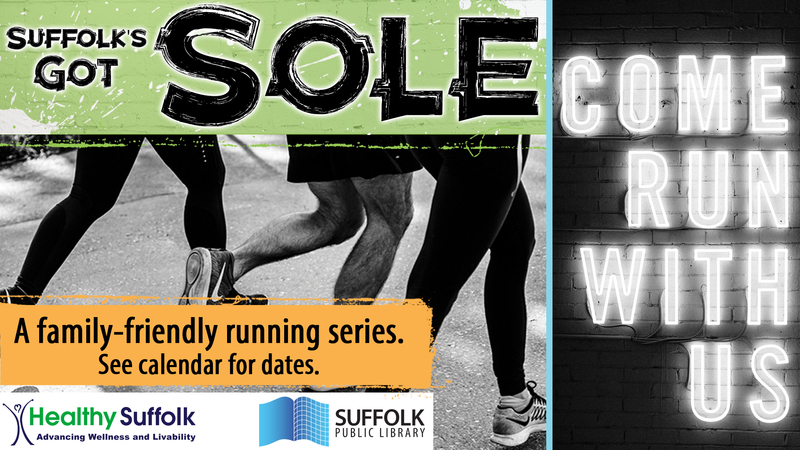 Suffolk's Got Sole is the library's weekly running series. No registration is required so feel free to come as often as you'd like. This week we will meet at Suffolk’s Visitor Center (parking lot). Join our Suffolk's Got Sole Running Group on Facebook to keep in touch with fellow runners.